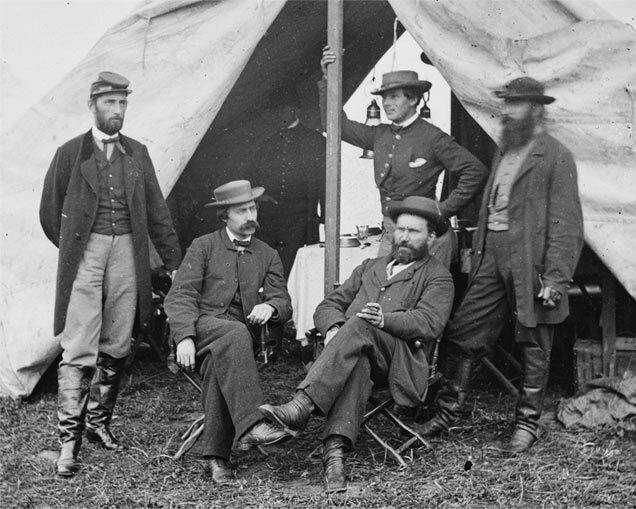 Allan Pinkerton was a Scottish immigrant and barrel maker who accidentally discovered a talent for catching criminals—in his case counterfeiters using a neighboring island in the Fox River as their base. Meanwhile, Allan’s brother, Robert, was also using his wits to catch bad guys, first as a railroad contractor and then as a provider of guards for the Wells Fargo coach line. The brothers joined forces in 1850, and the Pinkerton National Detective Agency was born along with the motto “We Never Sleep”. Their three-story Chicago building boasted their logo, an eye painted in black and white, that was the origin of the term private eye. Pinkerton agents were well trained and well paid. Their expertise in surveillance was beyond comparison. Allan Pinkerton was an early proponent of using female agents, determining that often it was the lady who was least suspected of being a detective. One famous lady Pinkerton was the widow, Kate Warne, thought to be the clean-shaven person standing behind Mr. Pinkerton in the photograph from the Library of Congress archives. Kate Warne, a woman who it is claimed walked into the Pinkerton offices seeking a secretarial job only to leave as a detective, is one of the more memorable Pinkertons, and definitely the first female agent. Among Mrs. Warne’s many accomplishments was the detection of a plot against President-elect Abraham Lincoln. Not only did she learn of the plot, but she also saved the president’s life by helping to smuggle him into Washington DC for his inauguration disguised as her invalid brother. Later, during the Civil War, it has been alleged that Mrs. Warne was quite adept at fitting in on both sides of the lines and brought back valuable intelligence to the Pinkerton offices. Quite the accomplishment considering women were not yet accepted as valuable members of any other crime fighting organization. Such is the legacy of agents such as Warne and her fellow Pinkertons that the agency is still in existence today. Now called Pinkerton Government services, they employ more than 4,000 security officers and claim a 90% government security clearance rate. Thus, even today, Pinkertons are on duty. Flora Brimm, a not so prim and proper Natchez belle with four fiances whose untimely deaths kept them from arriving at the altar has just discovered she is the subject of a Pinkerton investigation and just may be engaged to a jewel thief. Meanwhile Pinkerton agent and inventor Lucas McMinn is trying to decide whether the lovely lady is part of the solution or the problem. 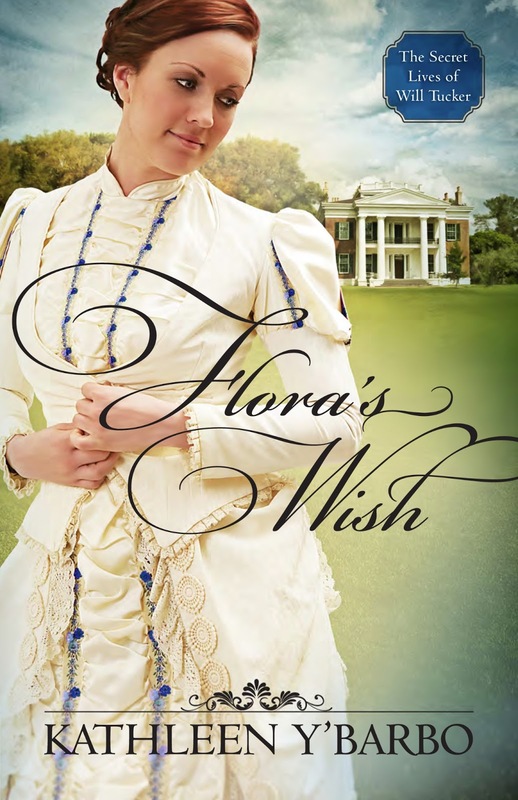 Southern historical with a dash of steampunk, Flora's Wish is in stores now. I've always read about the Pinkertons in one book or another one. Would love to know more about them. Okay, this is one of the most interesting posts so far. Wow, if you look closely at the photo, it does look like a woman. Great article, Kathleen! I hadn't realized that the Pinkertons were still in existence today until I read this, and then when I mentioned it to my husband, he said that his father was in charge of the Pinkertons where he worked! Very interesting! Yes, the Pinkertons are still doing their job all these many, many years later. They have a fascinating history. Thanks for this, Kathleen. So interesting! You piqued my interest in the Pinkertons in Anna Finch and the Hired Gun, and it's neat to learn more here. I am enjoying this blog so very much! Please pass my heartfelt thanks to whomever administers this and to all contributors!! I love this book and the Pinkerton hero. This was son interesting. It's always fun to learn about women doing a job that was probably perceived to be done only by males. "One famous lady Pinkerton was the widow, Kate Warne, thought to be the clean-shaven person standing behind Mr. Pinkerton in the photograph from the Library of Congress archives." This is so interesting ~non-detected with those delicate arms and trim wrists. What an interesting post! Thank you. 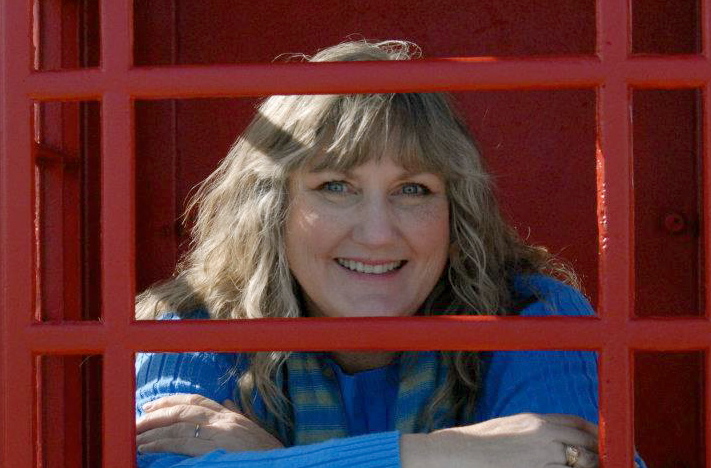 Here is a fun quote from author Carol Cox ~ She tilted her head, then added, "They made a good choice. With your nondescript looks, you'll be perfect at fading into the background. Nobody will even remember you were around." --page 48, Love In Disguise" for her lady Pinkerton. Interesting - never knew much about the Pinkerton agency! I hope to one day read Flora's Wish, because of the Pinkerston angle you've enclosed!